Bradley S. Dowlin, Esquire is a general practitioner at the Nurick Law Group. He vigorously represents his clients' interests in litigation, business, and intellectual property matters. Brad is dedicated to Nurick Law Group’s client-first mentality, as well as the firm’s high standards in ethics while at the same time providing aggressive representation to achieve the most favorable result possible for his clients. Brad grew up in Villanova, Pennsylvania and is a lifelong Philadelphia sports fan. 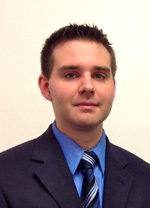 He holds a Bachelor of Arts Degree in Media Law and Policy from Penn State University. Licensed in Pennsylvania and New Jersey, Brad received his juris doctor from the Georgetown University Law Center.